The first entry in the MRC snowfall challenge. An MSX1 snowfall effect created with 'Brainfuck'. The second entry for the MRC Snowfall Challenge. See snow falling, with an MRC-screenshot as background. ASM sources included. The fourth entry to the MRC snowfall challenge: Sneeu (South african for 'snow') by JP Grobler. Features a scroller with many snow-jokes. Fifth entry to the snowfall challenge. In this demo you can change the direction of the Windflow. Lumi, Finnish for 'snow', is the sixth entry to the Snowfall Challenge. And the second one by Nyyrikki. 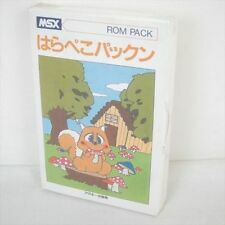 This one was created in X-Basic and runs on MSX1 computers with 64K and higher. Imanok brings us the seventh entry to the Snowfall Challenge. 'Nieve' is Spanish for 'snow'. His snowfall effect was coded in Nestor Basic. The eighth entry to the MRC snowfall challenge, accompanied with several FAC Sountracker songs. Ninth entry to the MRC Snowfall challenge. 192 snowflocks on MSX1. Source code included. The 10th entry to the MRC snowfall challenge, created by D-Tail, Lord Zett and LdH, members of TAoA. 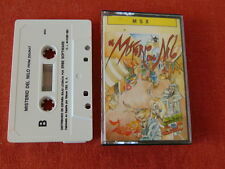 The demo consists out of 2 effects and a hidden part, was coded in NestorBASIC and requires an MSX2 with 128kB RAM.